You’ve probably heard about the 10/10/10 rule for making wise decisions. How will you feel about it 10 minutes from now? The IPI 2018 Emerging Trends in Parking Survey will take you about 10 minutes to complete. 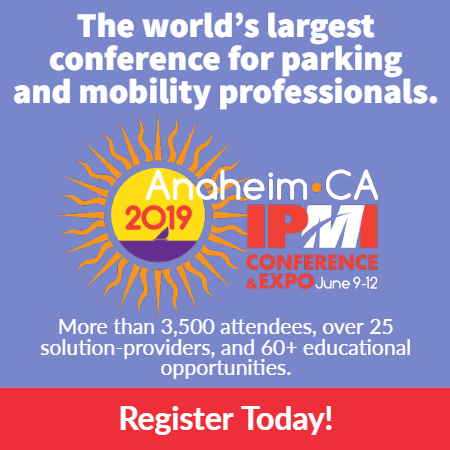 Those 10 minutes of your time will help IPI advance the parking profession (our mission) for a decade to come. There are questions about the effects of autonomous vehicles. Your responses will help us help you by guiding our efforts in paving the way for parking professionals to remain indispensable in the future. There are questions that we’ve asked before—we ask them again so we can track changes over time. These questions will be used to generate positive media coverage for our profession. Your answers to a few questions about accessible parking and disabled placard abuse will be of tremendous value in shaping the efforts of the IPI-led Accessible Parking Coalition (APC) in addressing an ongoing challenge for our industry and, more importantly, the daily challenges of millions of people with disabilities for whom parking is essential to independent living. Stop reading! Please use the next 10 minutes (or your next coffee break) to take the IPI 2018 Emerging Trends in Parking Survey here. Your responses, opinions, and insights will be important 10 years from now.